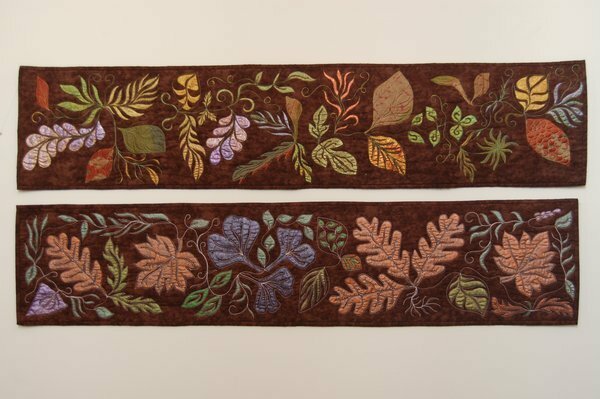 I love the process of using fibers of all kinds, and in particular, making art with fabric. The touching, cutting and reconstruction of cotton fabrics bring me peace and pleasure, always. My travels around the world have been my great sources of inspiration. My thoughts can start with the vibrant image of a village in West Africa or with the very serene image of a forest or coastline. I work improvisationally with no patterns, starting with a few choice fabrics and allowing my creative process to grow from there. Having my studio at home allows me to work every day, at any point in time, and let the pieces evolve accordingly. I quilt with a long arm machine and the patterns that flow from this particular quilting process push me to add new elements to my pieced tops that are unique to me. 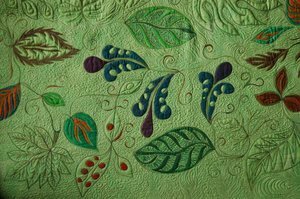 It is my hope that my quilts express emotional and spiritual feelings where one would want to learn more about their content and that the viewer will smile and feel good. 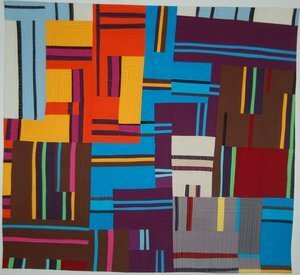 My love for fabrics began while I was a Peace Corps Volunteer in the Congo. The colors and designs in their fabrics led me to want to study their processes and prompted me to get a Masters in Textile Design in 1982. During this time, I learned to sew, weave, knit, bead, quilt and dye yarns and fabrics. My artistic interest evolved into making my own pieces, using bright, bold colors from first West African cultures and then, from cultures all around the world. 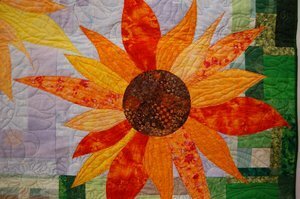 When I was asked to sell the first quilt I ever made, I went into business selling my fiber art creations. I now also quilt for others with a long arm machine. 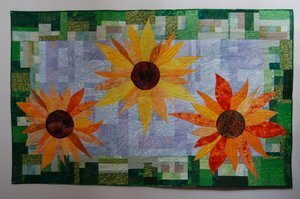 I have had quilts exhibited at AQS, MQX, FASEB, Brookside Gardens, Sandy Spring Museum, and Friendship Heights Community Center. I also have quilts on permanent display at Mary’s Center in Washington DC (with Debbie Lamb-Mechanick and Jan Gavin), Riderwood Village Retirement Community and Fairland Library in Silver Spring, Maryland.